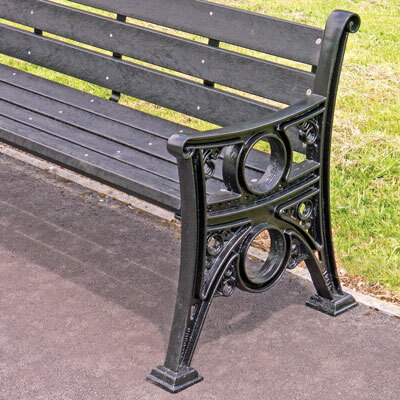 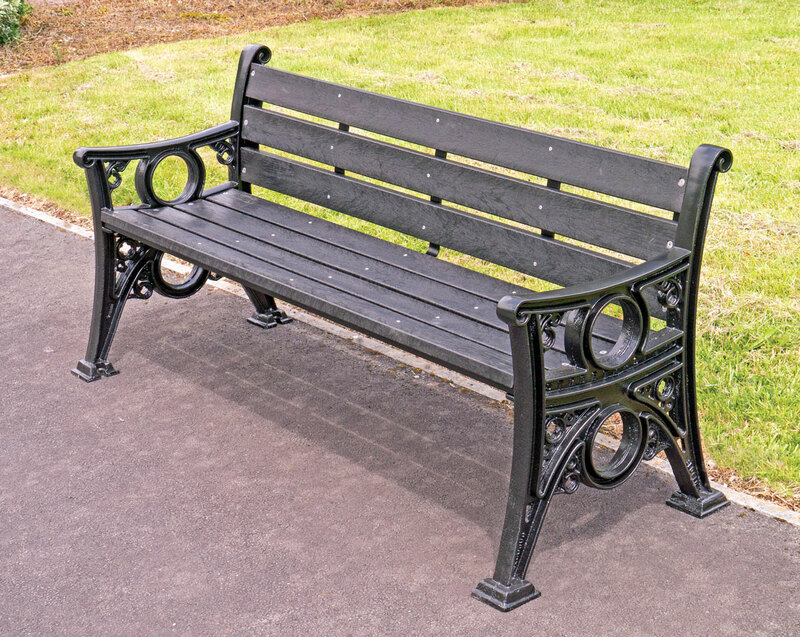 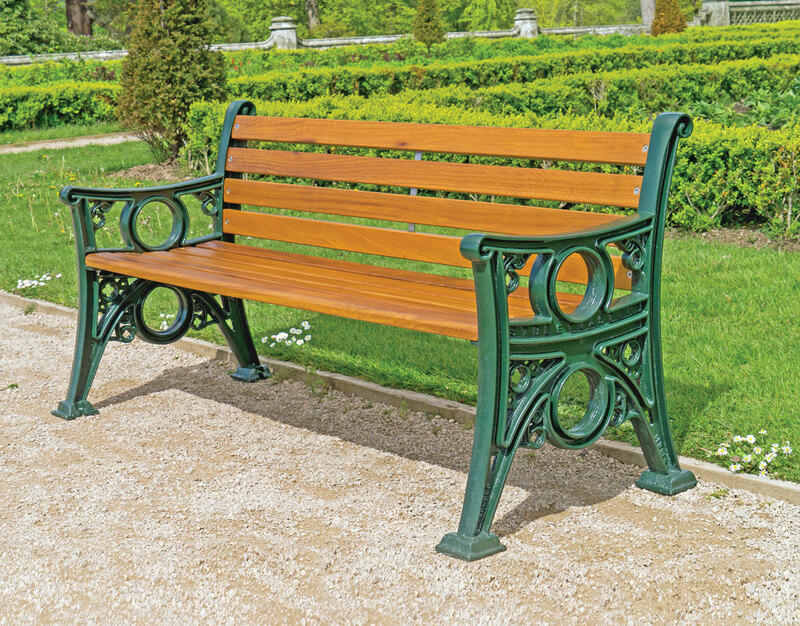 This seat uses quarterfoils and other architectural detailing to create a more overtly elaborate design typical of the Victorian era. 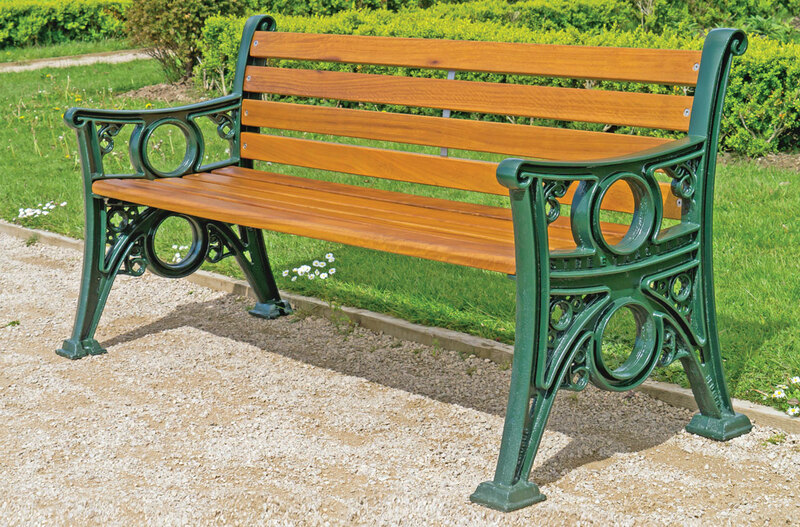 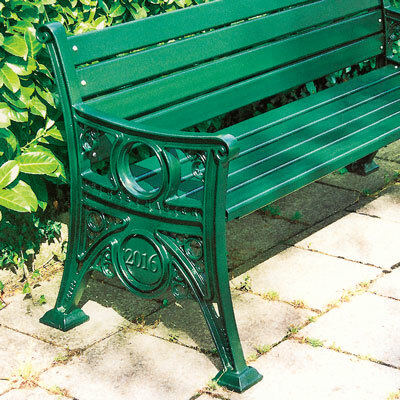 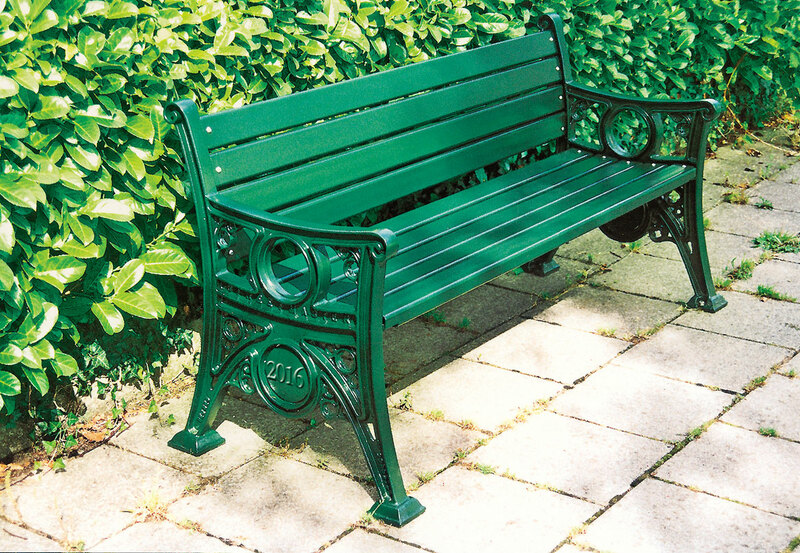 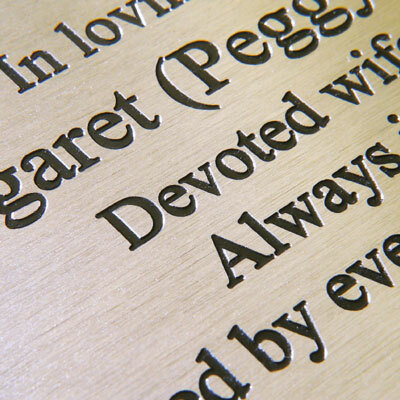 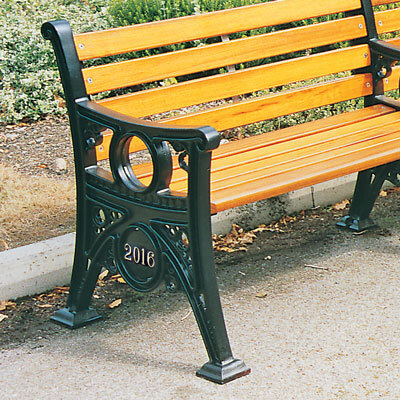 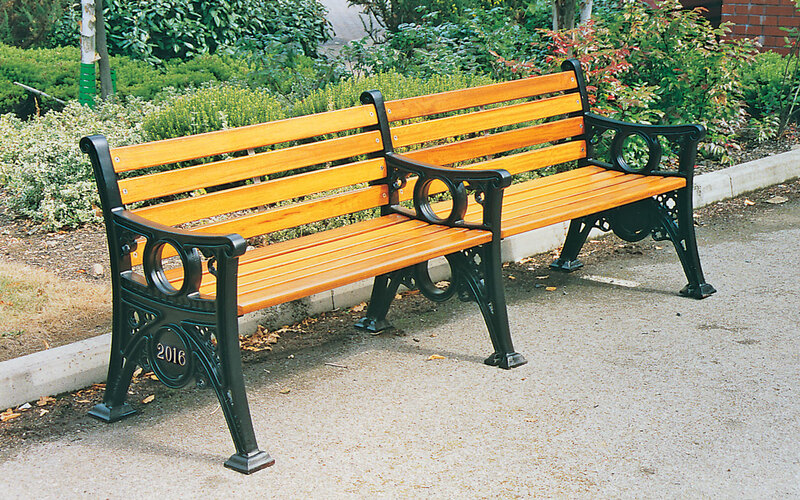 This design looks particularly effective in a formal park environment in dark green 14C40, which is a standard colour option. 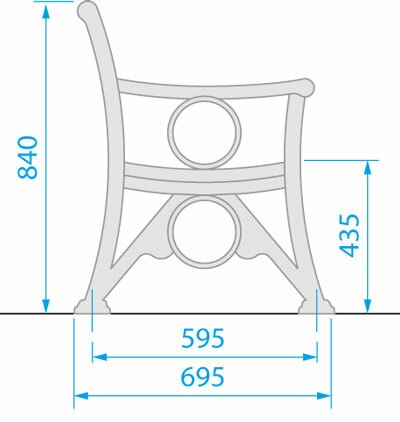 The basic shape and seat height etc. 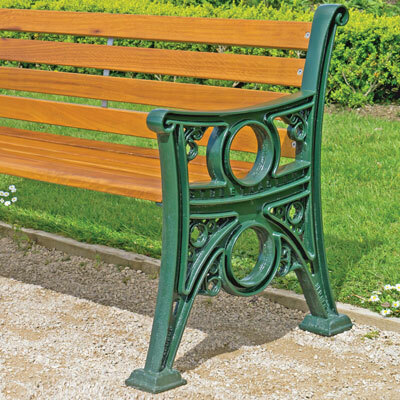 are the same as the Georgian seat.